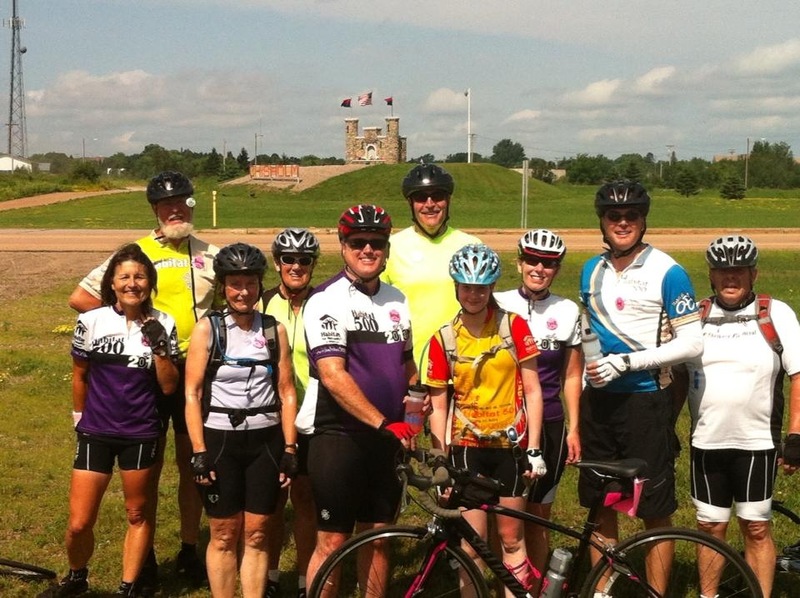 Join Team NSLCHFH on the Bike Ride This Year! Bike the Range and meet a great group of people! Join the Fun this Summer! Bike with the NSLCHFH Team! Join our team and register today to get the early bird discount! Riders at all levels of experience, or even people with no experience, are welcome! Remember, it is a ride, not a race. The support team will make sure you are doing well and you always have the option to stop for the day, no worries! There are also plenty of rest and recouperation breaks, with food and water provided, throughout each day. 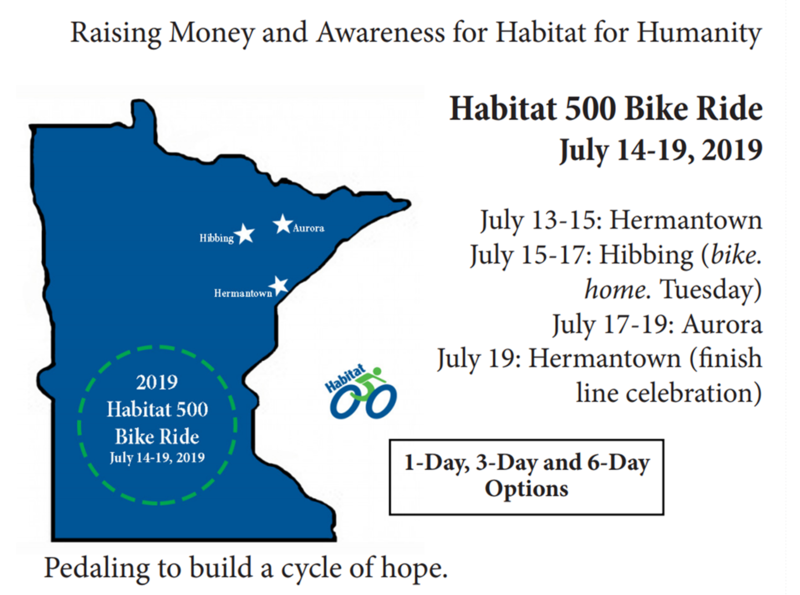 Meet new friends, earn bragging rights all while helping your Iron Range neighbors with a hand UP into a simple, decent and affordable home. There are many ways in which to get involved in this fun week. Not available for the whole ride? Select the 3-day or 1-day option. Not ready to ride this year? Join the volunteer crew or help us feed the riders. Just give us a call, we are ready to help in any way we can. 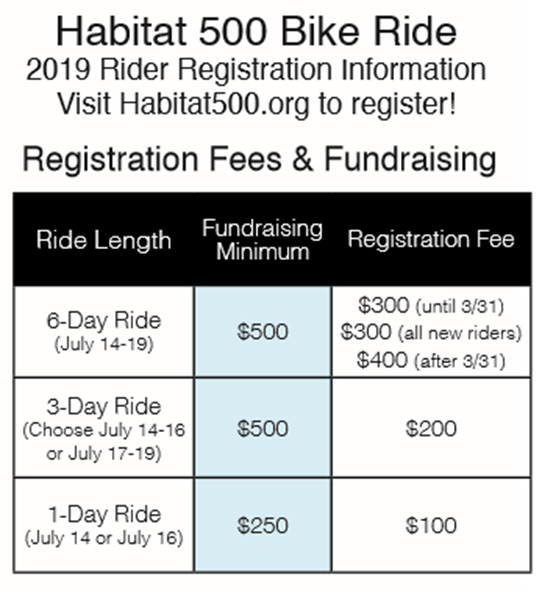 Call us at 218-749-8910 or email us at habitat@nslchfh.org and let's get riding!! For more information or to register, call 218-749-8910 or reply to this email. Let's Ride the Range together!